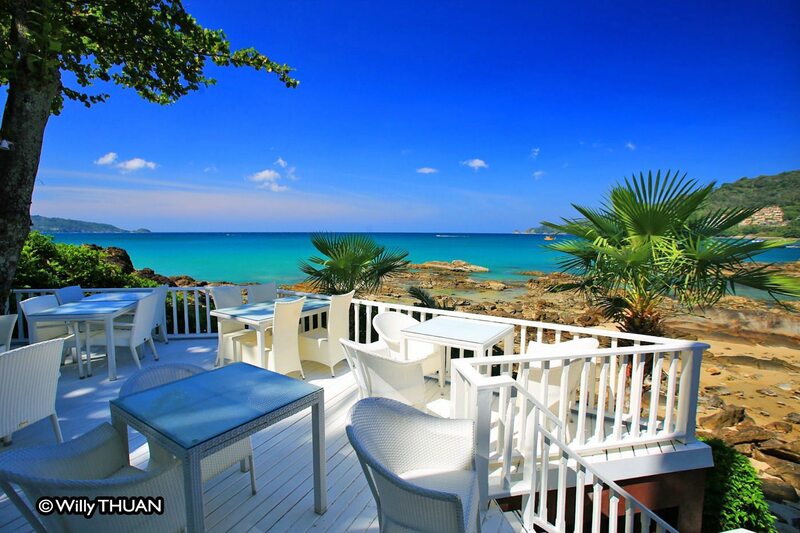 Joe’s Downstairs is an upscale bar with a fantastic location on a small rocky beach between Patong Beach and Kalim Beach, one of the best spots to enjoy a sunset with a drink in Phuket. Joe’s Downstairs, which used to be a fancy Japanese restaurant called Otowa, is tucked just between the well-known Baan Rim Pa and Da Maurizio Italian restaurant. Since they are part of the same group, they are equally expensive as you will find out. The menu at Joe’s Downstairs includes a long list of international tapas from Chef Aaron Hooper. 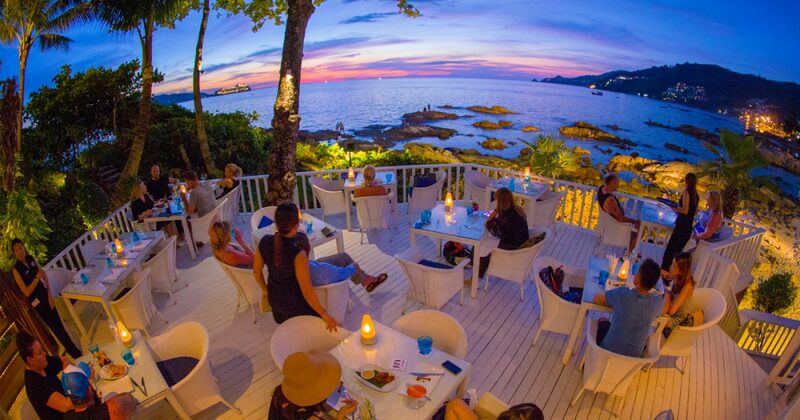 Tapas fits the sunset mood perfectly and allows you to order according to your budget. Caiphirina (325 baht) and a Wairiu River wine (435 baht). We let you calculate the bill! It was painful, but we didn’t regret it. 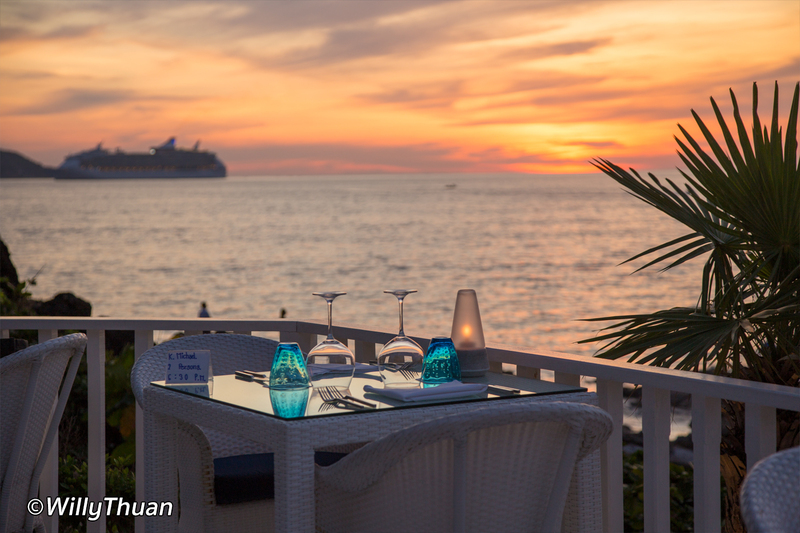 Come early to enjoy the sunset which usually occurs between 6 and 6.30 pm. 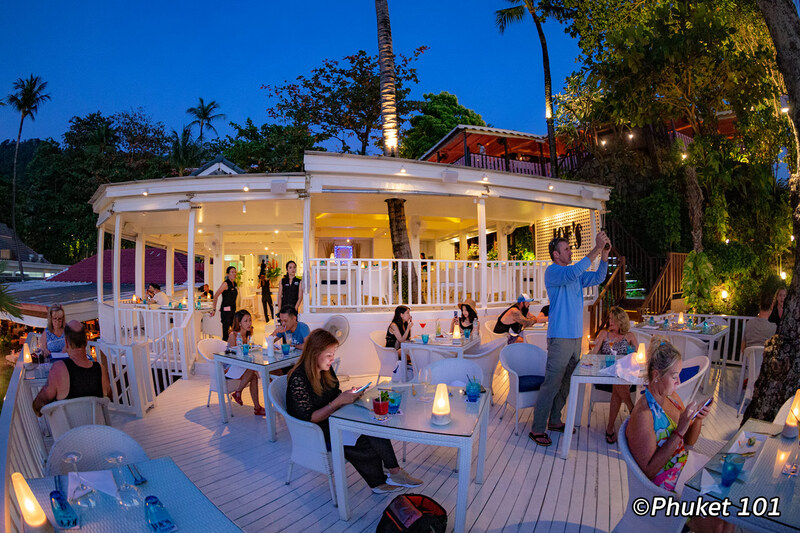 You can quickly check the right time by searching ‘Phuket Sunset Time‘ on Google. The food was good, the cocktails well prepared, the wines excellent (Since Baan Rim Pa is a Wine Spectator award winning wine cellar). 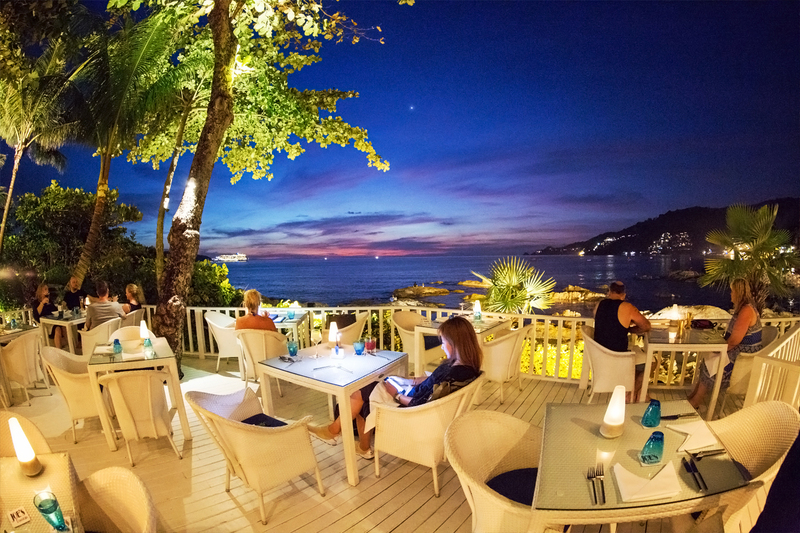 Joe’s Downstairs is perfect romantic way to end the day if you can afford the steep prices!